How are your mornings? Specifically, how are you at getting out the door, with the kids, on time while remembering everything you need? I struggle with this a bit. I manage to get my kids ready and out the door, but inevitably I find myself running back in to grab my own essentials. Something needed to change. 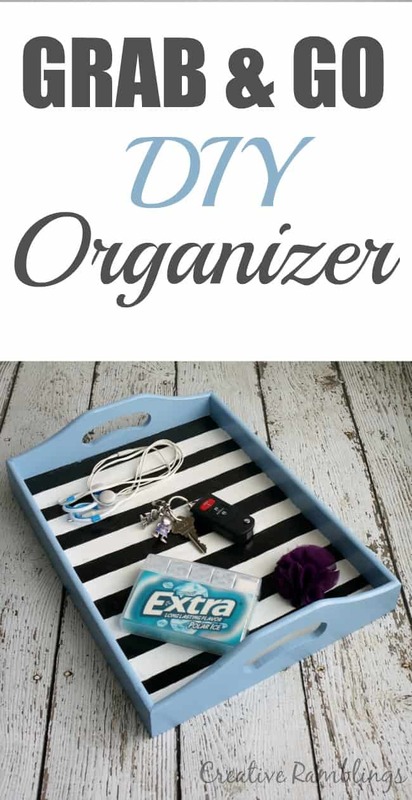 I decided to create a DIY organizer near my back door to corral all my essentials and help my family get out the door with ease. 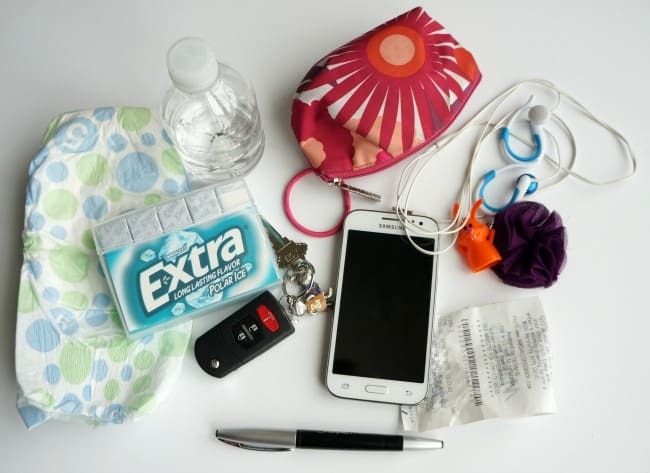 I change my purse or bag almost daily depending on what the day has in store. I don’t carry a diaper bag anymore, but my purse is still loaded with kid stuff. I typically empty it at night and move it all to a new bag in the morning. These are just a few items that come out of my purse every day. Somehow they get strewn about and I find myself scrambling to get it all back in a bag in the morning. Time for a little organization. I created a simple, and pretty, tray to corral my essentials. I can drop my items in at night and grab them the next morning before I head out the door. My essentials include kid stuff obviously, but for me, I need my keys, phone, wallet and gum. 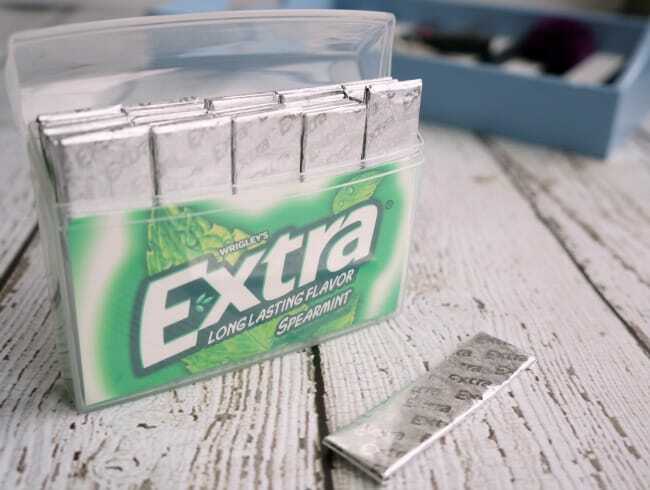 Specifically Extra® gum. I’m a big coffee drinker and typically take my last sips right before I head out the door. For the sake of all those around me, I need gum in my purse. 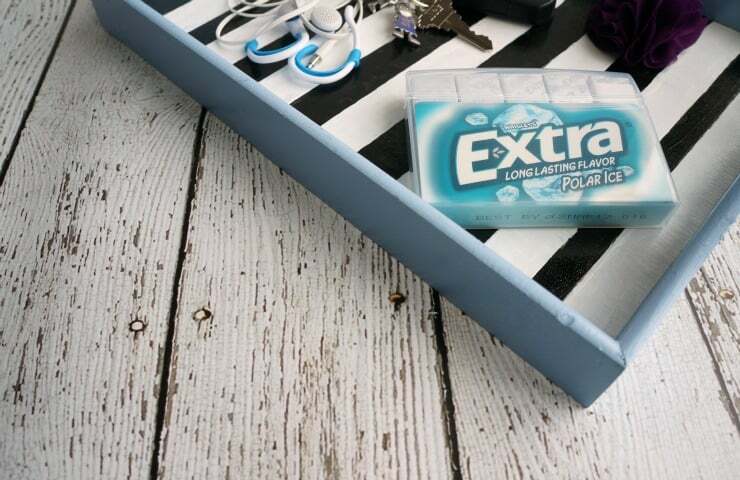 The new Extra® 35-stick packs are ideal to have in my purse for when I, or anyone else in my car, may need a piece. These new packs feature durable, recycled packaging and are easy to pick up in the checkout line at Target. You can save 10% during February on New Extra® 35-stick packs using this Cartwheel coupon. 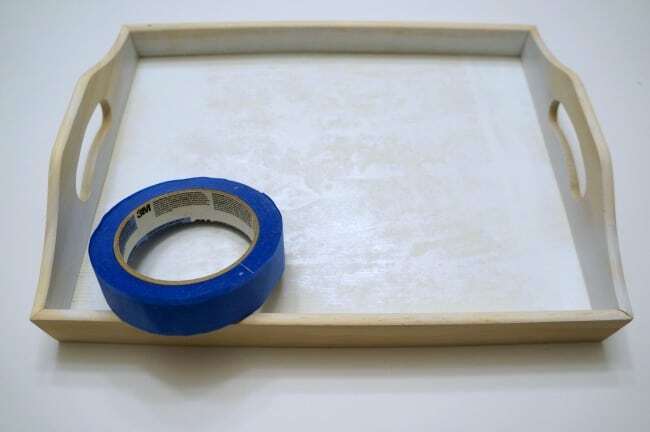 Here’s how I created this pretty painted tray. I started by painting the base of the tray white. 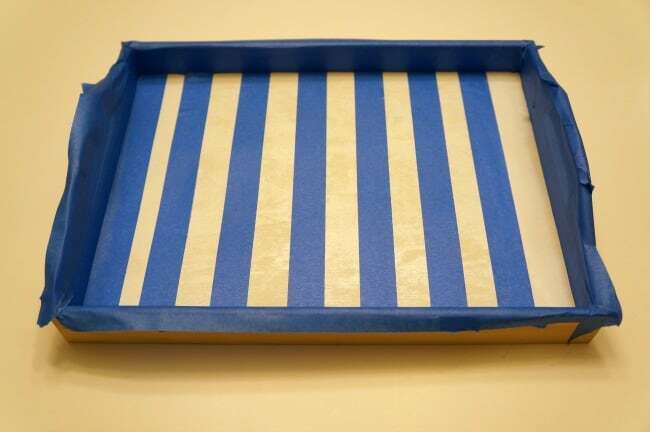 After it dried, according to the paint directions, I taped off stripes and covered the sides of the tray. Then I painted those stripes black. I peeled off the painters tape when the paint was almost dry. 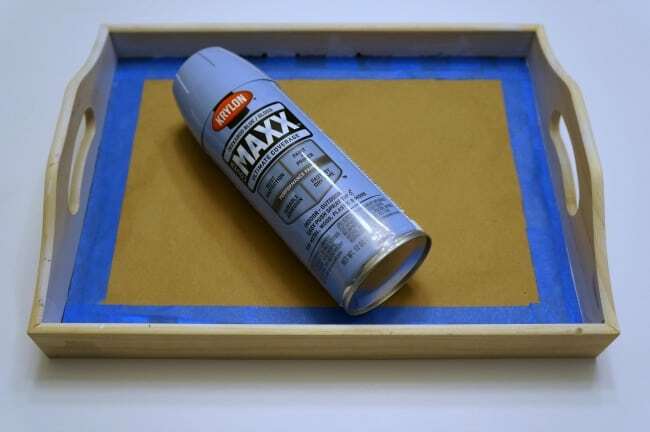 Once it dried completely I covered the base of the tray and painted the outside blue. I chose a high gloss paint that did not require a primer or sealer. 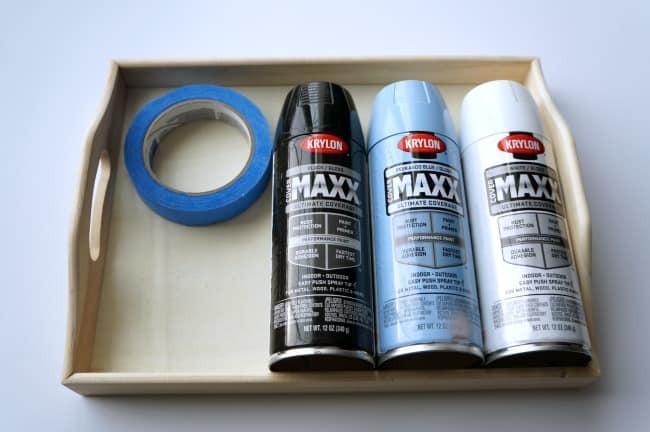 This tray will be used a lot, if you want to recreate your own I suggest using an all in one paint, or adding a primer underneath and sealer on top of a regular paint. 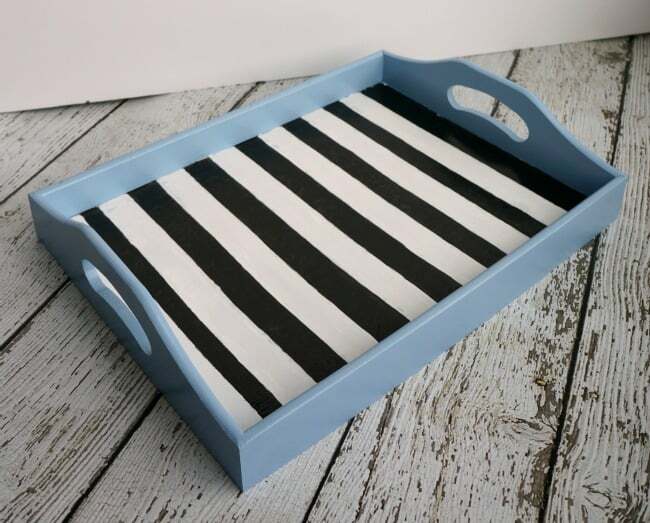 This tray is fun and adds a little interest to our kitchen in addition to function. My husband is enjoying this tray too. He is a gum chewer but doesn’t typically carry a pack. Having it by the door, he can grab a piece of Extra® Gum Spearmint or Extra® Gum Polar Ice® on the way out then I can throw the pack in my purse later on. It’s nice to share a pack of gum, even though we don’t see each other most mornings. It’s funny how a simple piece of gum, and an organized place to keep it, can make a morning run smoother. Tell me how you get out the door in the morning? Any tips I should know? 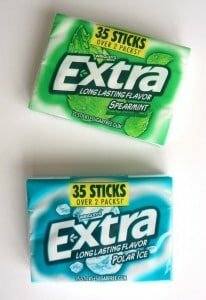 I’d also love to know what kind of Extra is in your bag? Ah Jen I’m so glad you like it! Thanks for stopping by.